Daren & Sarah contacted me after spotting my name on a West Brewery leaflet of some description! After seeing some of my previous work at West Brewery they decided to go ahead, confirm their Spring 2019 wedding with me and get a date down for their pre-wedding shoot! They first met at Glasgow University so we met up in that vicinity (Kelvingrove Park) and off we went for a walk, it was a bit chilli but it wasn't raining! Always a bonus :) In fact the skies were blue for some of our walk! We walked, we talked and even managed to get some photos! 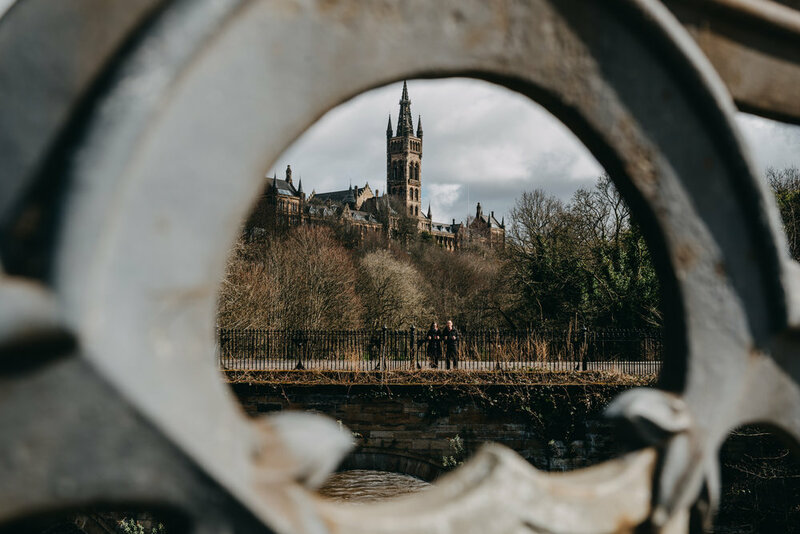 Kelvingrove Park to Glasgow University to Ashton Lane and back. Totally looking forward to the big day at West Brewery in April next year now, here are some captures!